Maruti will launch the all-new DZire in next month. The third generation DZire has been completely overhauled and looks nothing like the current generation model. And a lot more has changed. Here are ten big surprises about India’s newest compact sedan. The 2017 Maruti DZire will become the first-in-segment to offer LED projector headlamps. The projector lamps shall be limited to the top-end variant. The headlamp will also get LED Daytime Running Lamps (DRLs). It also gets LED tail-lamps that look really good. The new DZire has gone through massive weight loss. The new platform that currently underpins Baleno has shaved off 105 kg from the base diesel variant and 85 kg from the base petrol variant when compared to the current model. Even though the engine specifications remain the same, the weight loss will translate into better performance and fuel efficiency. The vehicle complies with the new BNVSAP (Bharat New Vehicle Safety Assesment Program) that will be mandatory for all new vehicles launched after October 2017. 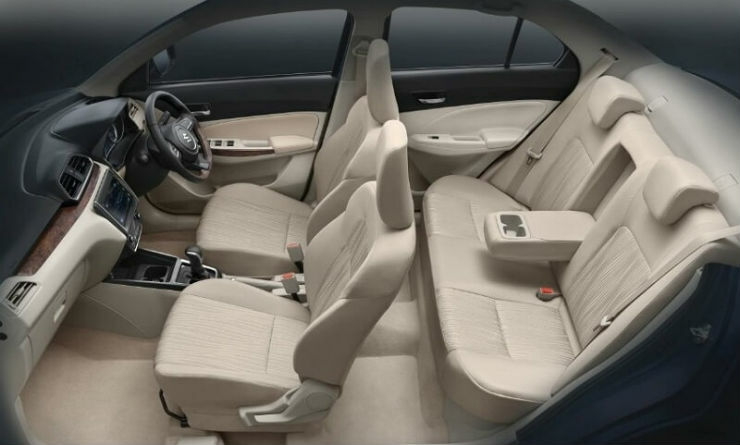 The all-new DZire will also come with dual airbags, ABS+EBD, and ISOFIX child seats as standard equipment across all the variants. This will make the vehicle much safer than the current generation DZire. The new DZire will come with 1.2-litre petrol and 1.3-litre diesel engine. Both the engine options get Automated Manual Transmission (AMT) as an option. The current DZire gets an AMT option only with the diesel engine while the petrol engine makes do with a much more expensive torque converter automatic. On the 2017 Dzire, the AMT will be available from the mid-trim V right to the top-end trim Z+ with both petrol and diesel engines. This change is likely to make the Dzire Petrol and Diesel AMTs the most affordable automatic compact sedans in the country. The all-new DZire will be launched on 16th May 2017. The all-new vehicle will not be sold through Nexa, the premium dealership network of Maruti but through the regular Maruti outlets.